Allure Clinique: Honey I Shrunk Body Wrap…….. I am back with another post about the amazing treatments Allure Clinique has to offer! Now we all know summer is approaching fast and at some point we all desire to either have that bikini body, a flat stomach, tone up or to just lose a few inches to feel good about ourselves, especially if we are jetting of to a holiday destination. I can confess that I am a woman in this situation as I am going away in less that a month eeeeeek! However, I am not panicking as I have been using the Viber8 Machine that I recently posted about for just under a month and will continue to until my holiday. As if that is not enough, I am also going to go ahead and treat myself to the ‘Honey I Shrunk’ Body Wrap a few days before I go away. What is this? Sounds delicious don’t you think ladies? Well I don’t know about that but it is a weight loss treatment that gives you results that will make you feel delicious! What is ‘Honey I Shrunk’ ? It is an inch loss body wrap system that works by lipolysis. Lipolysis is a revolutionary method of removing unwanted fat from the areas you want, the fatty cells are broken down by the solution changing the tryglycerides within the cells into fatty acid which can be excreted by lymph vessels and tissue fluids. Following on from the wrap, the solution conditions and keeps on working into your skin for up to 72 hours. As the fat cells have been destroyed, for new fat cells to grow, you would have to eat excessively or unhealthily. So, those newly shed inches will stay off as long as you keep to your regime and lay off the cheeseburgers. Honey I shrunk Body Wrap is totally effortless for you, non-invasive, pain free and no mess. Whilst in your underwear you will be carefully measured, & then the Honey I Shrunk oil will be applied. You will then be wrapped in a special heat generating wrapture where you lie down for 60 minutes on a heated bed covered in warm blankets to let the Honey I shrunk oil work its magic & loose you inches!! After 60 mins you will be unwrapped, and re-measured again in the same places to reveal your total body inch loss. This is a completely mess free treatment so all you need to do is get dressed again and you’re good to go. The Honey I shrunk oil continues to work for up to 72 hrs and it is preferable not to wash it off or shower until the next day. Believe me ladies the results are real, even though have not had mine done yet I have seen it for myself on clients whilst I was at Allure Clinique. For example the client that had just had the ‘Honey I shrunk’ wrap, lost a wopping 17 inches! How amazing is that! Although the results do vary depending on the client, so for all you skeptics thinking that this is another myth think again as each client’s results at Allure Clinique have been between 10.5 – 18.5 inches! At only £50 as well for your whole body, whats not to love about this treatment? 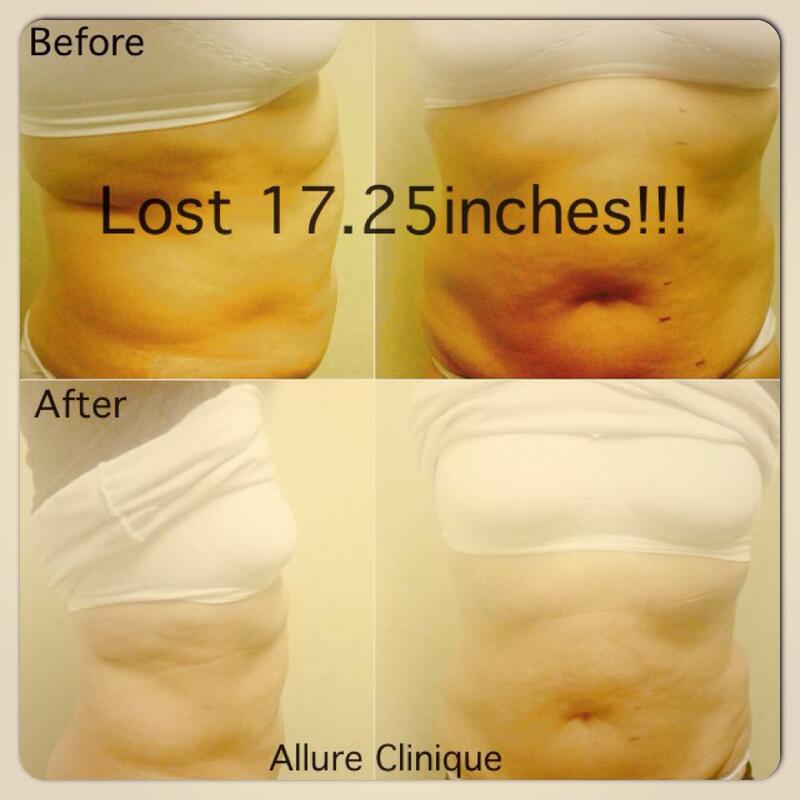 If you are still a bit skeptical, here is photographic evidence from the Allure Clinique website itself to show how amazing this wrap truly is……….. This makes me even more excited to have mine done in the next 3 weeks! What do you think ladies…..would you give it a go? 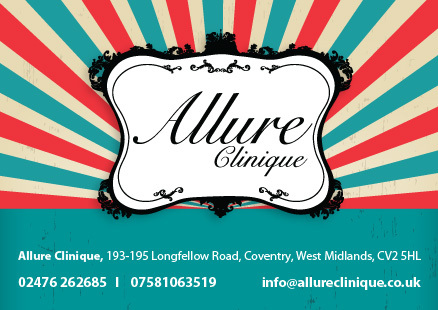 « Allure Clinique: Eyebrows…Waxing, Tinting & Threading! I had my first wrap and I only lost 4.5 inches. I eat clean, excerise 6 days per week, drink 3 liters of water per day and no alcohol. Any words of advise? I believe it depends on each individual, each result is different and varies. How long did you have the wrap on for and which one was it?